The Resort – Where You Must Be At Least 18 Stones To Be A Guest…. Have you ever felt uncomfortable while sunbathing on the beach in a swimsuit or bikini because you’ve put on too much weight? Or feel other hotel guests are discussing you on the buffet line for filling your plate too many times? 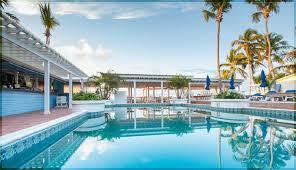 Well, The Resort, located on Eleuthera Bahamas, was opened with the larger figure in mind. An idea created by James King over a decade ago, finally came to fruition in 2015, to welcome guests 18 stones and over and to put an end to all their holiday insecurities. This sanctuary allows privacy and a safe haven to plus sized people and an opportunity to relax and enjoy a funfilled luxury holiday without the stigma attached with being overweight. Mr. King was appalled by the treatment he witnessed of a hotel guest at his former place of employment, who had fallen through a lounge chair, as a result of her obesity. Despite having to endure the embarrassment of this, sadly the hotel made her pay for the chair. Mr. King was understandably upset for the guest and felt there must be a better way to tackle this stigma. Hence, the simply named The Resort was born. Set on 5 miles of beautiful sandy beach, including a fresh water pool, guests can expect nothing more than privacy and luxury. All furnishings are customised to fit a larger figure. Doorways are wide, chairs are made from particularly sturdy wood, beds have been reinforced with two-inch steel bars, and metre-wide loungers can withstand up to 40 stone. Meal times have also been designed to cater for a larger appetite. The Resort will only accommodate small groups of 2 up to 24 at a time. The flat rate is USD $16,400 for 6 nights stay and includes return airport transfers, all meals, an honors bar and gratuity. There are very few rules at The Resort, except for the most important, that anyone staying there must be at least 18 stones. The response so far from visitors, the media and the wider public have been mostly positive and the hotel is booked up for the next season. There is a serious element to this holiday, as guests are encouraged to take part in therapy/counselling sessions to allow them to discuss and think about their lifestyles and eating habits. ITV1 is set to shoot a series called “The 18-30 Stone Holiday”, where a group of British visitors will holiday at The Resort. The programme says the group will undergo a “radical new approach to confronting the prejudice they often encounter because of their size. They’ll be challenged to face their innermost fears, and inspired to find a new confidence to overcome their inhibitions, in a week that could transform their lives”. There will certainly be many who question the authenticity of this project or whether it is too exclusive. Is this resort fuelling the insecurities surrounding obesity? Are those who are overweight need to hide because they feel they will be ridiculed? Where does it end? We cannot change society’s views of the obese, but we can find ways of dealing with these perceptions and this starts with tackling our insecurities. However, those who choose to holiday here are embracing their bodies and those who celebrate with them. Judging by the popularity of The Resort, we will be hearing more about it in years to come.